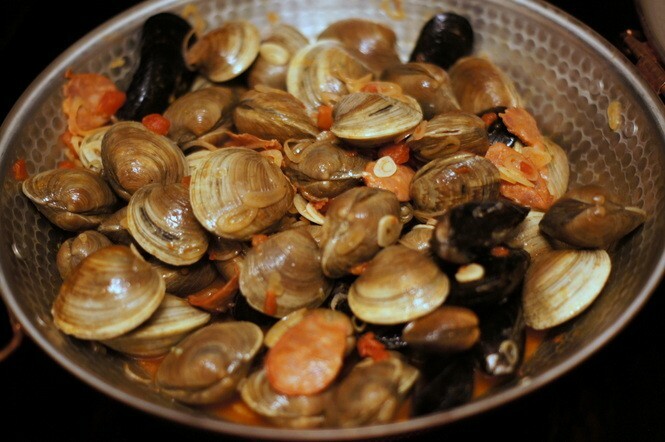 When I lived in Spain, I remember enjoying seafood dishes in restaurants served in a cataplana. 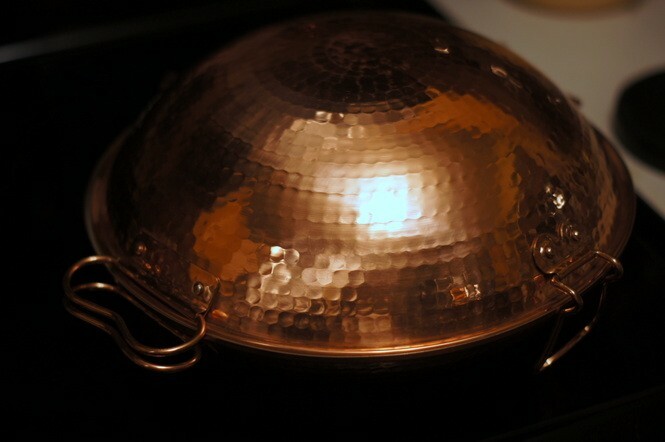 A cataplana is traditionally made of copper and it's probably no coincidence that it's clam-shaped, since cataplanas are perfect for steaming clams, mussels and other shellfish. 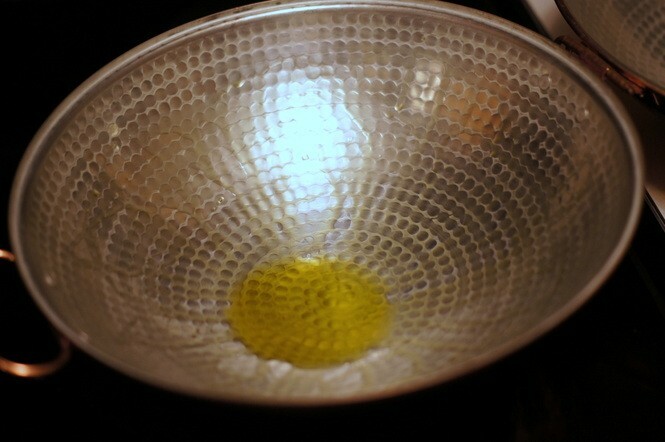 The vessel serves both as cookware and as tableware, since it can go from the stove straight to the table and provides an interesting and attractive serving pan. 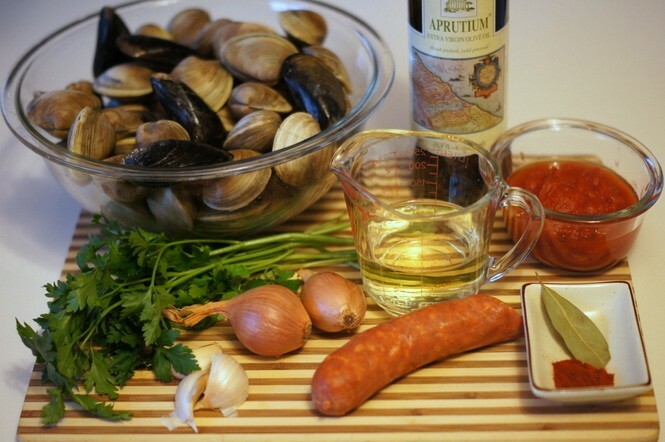 Of course, you don't have to have a cataplana to make this tasty dish. You could use your favorite stock pot of Dutch oven - something with a lid. 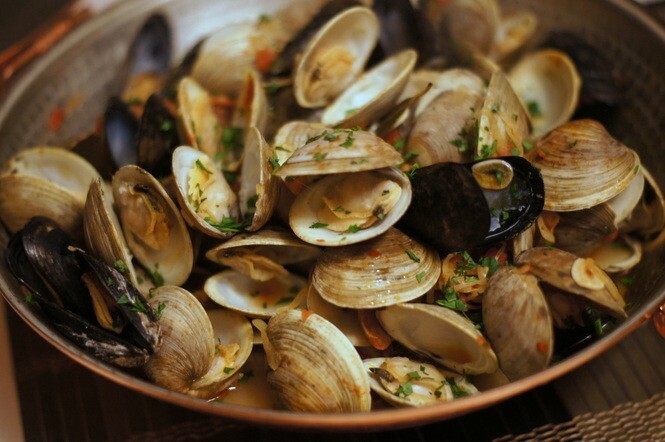 And, you could make this dish using all clams or all mussels. I like to use a mix of both. 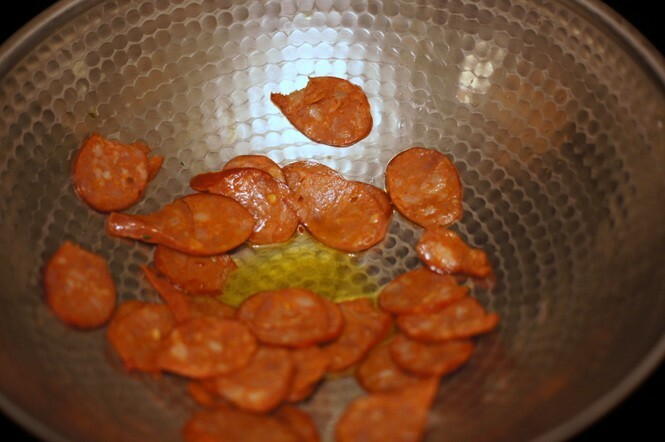 Heat the olive oil over medium-high heat in a cataplana or large pot. 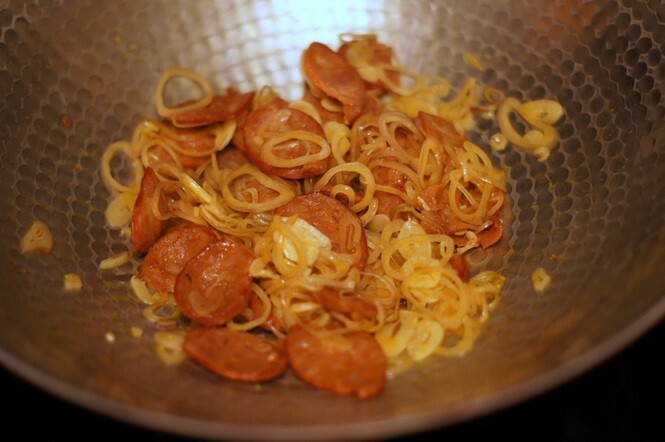 Saute the linguica for a few minutes, stirring, until the sausage begins to crisp and releases its fat. 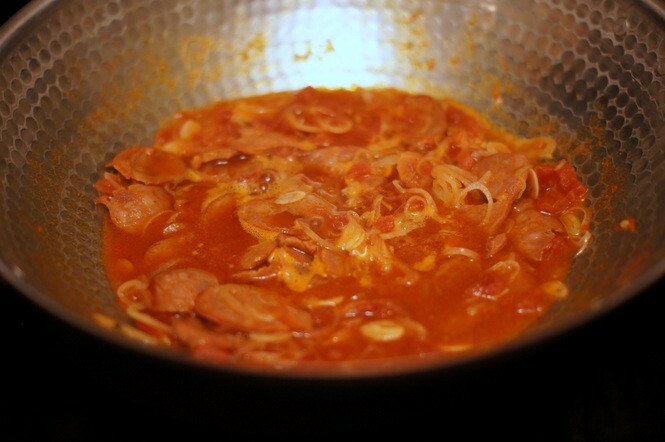 Add the garlic and shallots and cook, stirring occasionally, until wilted - about 2-3 minutes. 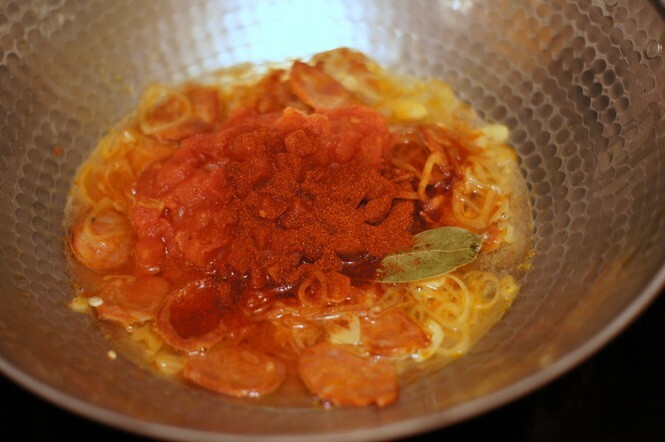 Stir in the wine, tomatoes, paprika, and bay leaf. Boil the mixture until the liquid is reduced by about half. 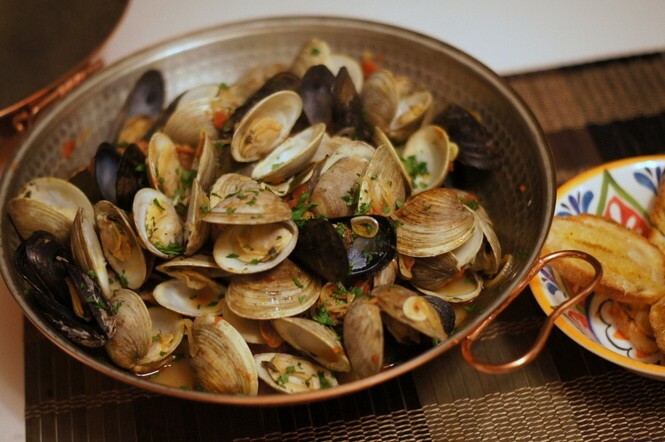 Add the shellfish to the cataplana or pot and give them a good stir. 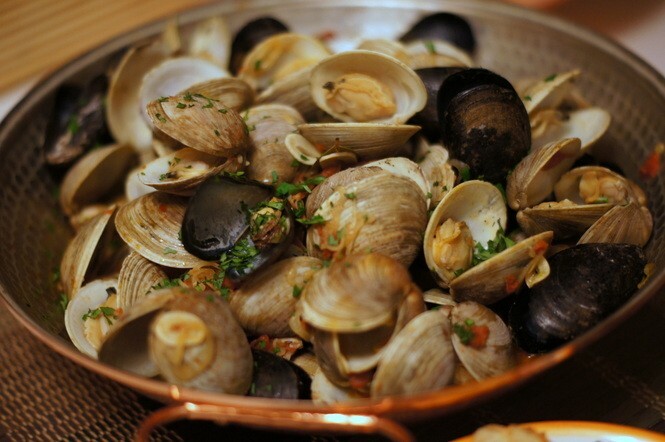 Cover and steam the shellfish until all of the clams and mussels open their shells. Discard any that don't open. 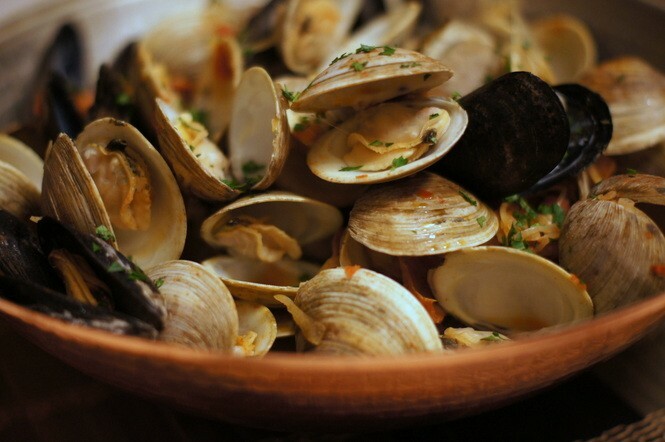 Sprinkle the parsley over the shellfish and serve with crusty, grilled bread.